I have arrived at blog post number 365. Unbelievable! At least for me. It has taken me more than 4 years to accomplish what Julie Powell did in one year. Yes, in 365 days, Julie cooked and baked her way through Julia Child’s enormous cookbook of 524 recipes and documented her successes and failures in a daily blog while holding down a full-time job. I wrote about her ambition in my 200th blog post. And, like Julie, a few times I too felt like giving up, especially in the first few years. Sometimes I wondered what to write about. Besides deciding on a theme, I experienced fatigue. Blogging regularly is tiring. It requires tons of time and loads of energy. Recently, the launch of my new website teetered on disaster. 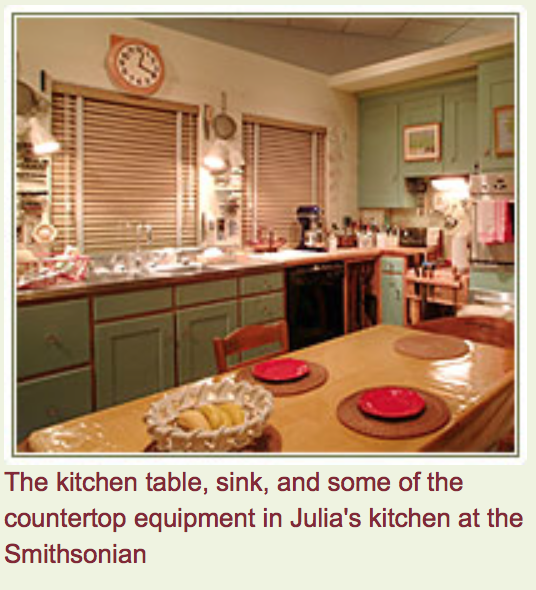 By the way, at the end of the movie, Julie gets to visit the Julia Child Museum in Washington D.C. 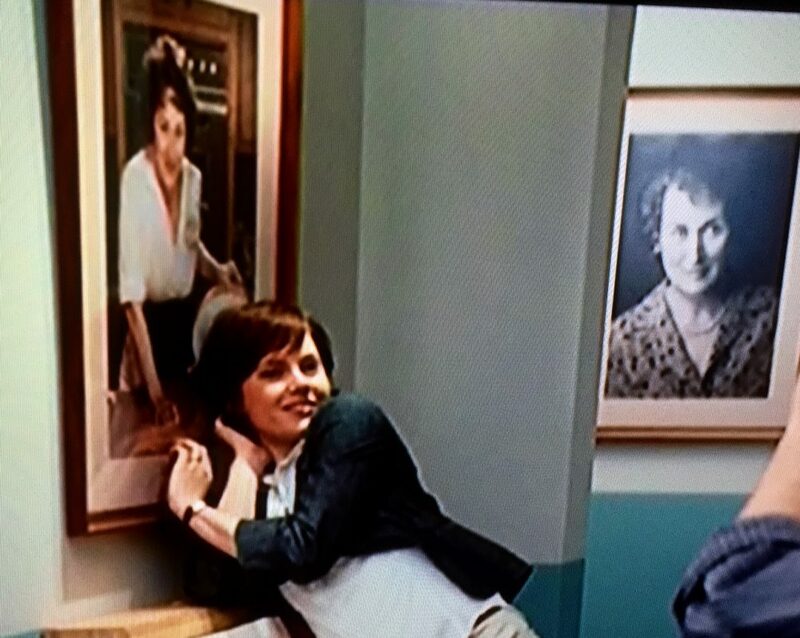 While her husband photographs her antics, Julie poses in front of the photo/painting of her idol and mentor whose kitchen has ended up in the Smithsonian’s Museum of American History. You can take a photo tour here. 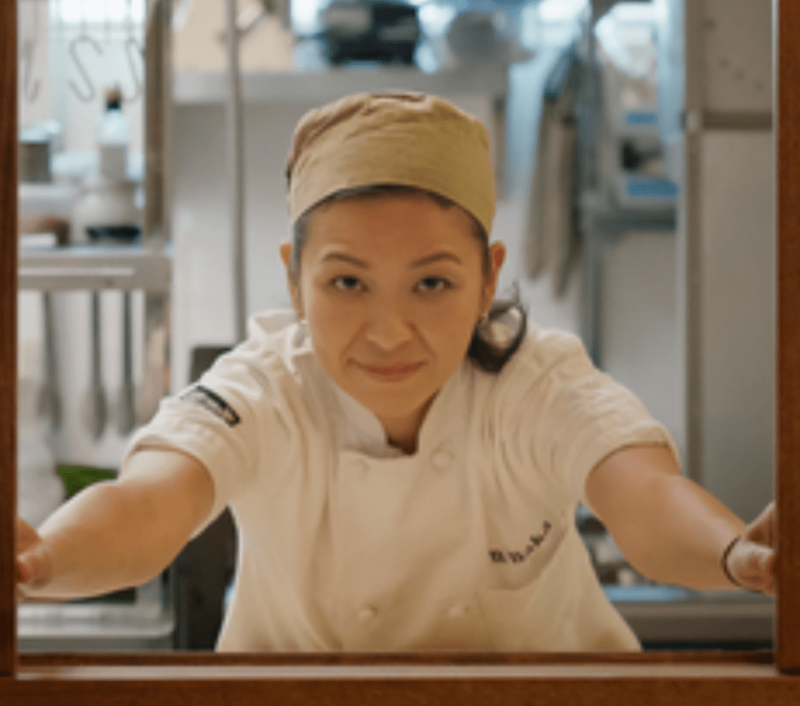 Recently I discovered another great chef, Niki Nakayama, who fought sexism in a highly competitive restaurant industry, to become a stand-out in the culinary world. LOS ANGELES (AP) — Behind a set of shades hiding the dining room from the kitchen, chef Niki Nakayama wraps her fingers around a giant live scallop and gently pries open the shell. She takes a knife and trims out the sand-colored flesh inside. Later, she’ll pair it with kiwi, dill and a beet and sorrel sauce with a ponzu base. She also stars in the highly acclaimed Netflix series, Chef’s Table. For me too, writing is a lot like cooking, combining a variety of ingredients to make an enticing dish. That’s my aim as I craft each blog post and move ahead with my memoir manuscript. Today I pay homage to you, dear reader. Whether you read and comment on each post or stop by only occasionally, I value our connection here. Thank you! Do I get a prize if I’m first celebrating your 365th? Ha. Congrats and I know you do work hard crafting each post (and planning ahead, my downfall!) I enjoyed your link to Chef’s Table and this quote from chef Niki Nakayama found there: “[I] needed the struggles and self-doubt in order to learn how to overcome those things in order to grow.” Probably applies to blogging as well! Onward! I admire your dedication to blending cooking with writing over the years and your faithful following this blog almost from the beginning. Thanks! Well done, Marian, and congratulations on your achievement. We are all different and should never compare ourselves to anyone else, as their experiences and personal circumstances are totally unique to them, as we all are. As young mothers, we are told never to compare our child to our friends’ and just because your friend’s little one can walk at 11 months and yours is still happily crawling, we all know that they all get there in the end. I’d like to blog more, but since my blog is about our travels through Europe in our motorhome and we haven’t been able to get away this year due to my husband’s illness, I have hardly written a thing. I miss it, but I take comfort in reading other people’s blogs, like yours, which I find most enjoyable and gives me hope for the future. Just be yourself and write when you can or feel like it. We’ll read it. I know about hiccups in life too. I experienced many this past year, especially during the last six months. Your words are re-assuring, and many can identify with your sensible do-the-best-you-can attitude. Thank you for the kind words, Fatima. 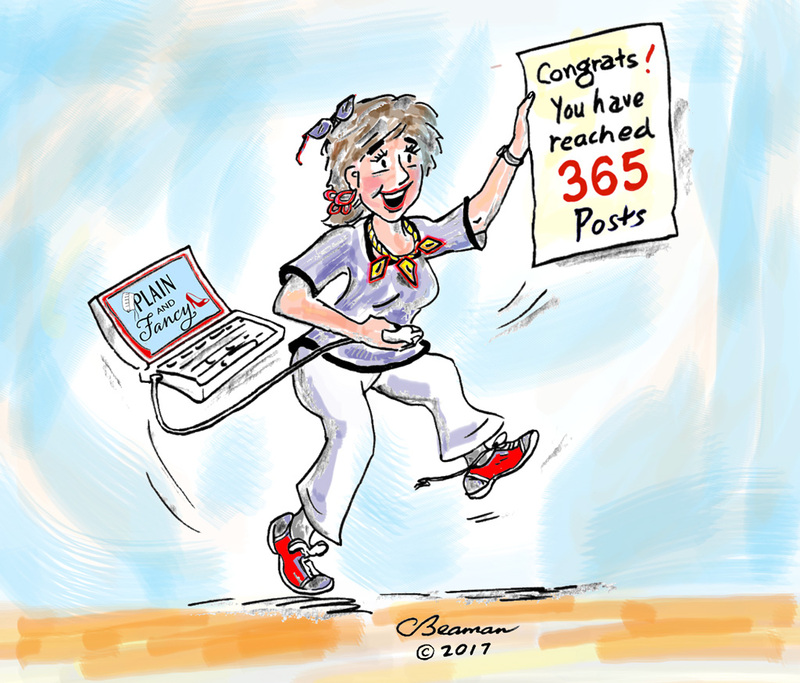 Congratulations on your 365th blog post! And what a great illustration by Cliff. This celebration is a reminder that I only recently discovered your blog; my goal is to read all of your earlier posts. Wow, Lynn, I am honored you want to go back and read earlier posts many of which feature family “characters” that populate my memoir, still a work in progress. I will pass the compliment on to Cliff. He has published a children’s book of his own. Now we are planning to pair some of my posts with his illustrations in future publications. We’ll see. Again, thanks for your encouragement here. Good morning, Marian! It’s good to see you back! Congratulations on reaching your 365th post! I have seen photos of your computer in the kitchen with kitty cat as muse. My writing studio is in another room, so if I have something on the stove or in the oven I MUST set my timer. Otherwise, I have boil-overs and burnt offerings. Thanks for the good wishes, Merril, and following me so faithfully over the years. P. S. I hope you reached your recent publication goal. It must be hard to coordinate your own deadlines with other writers, some of whom have a more “squishy” view of due dates. Thank you, Marian. All of my writing on this book is done for the moment. I’m still waiting for 5 chapters, and I may need to do some rewriting or completion of some of them. We’ll see! Congratulations, Marian! Julie and Julia is one of my all-time favorite movies. In fact, I just watched it again recently. Cliff is so talented! I love his drawing! You are welcome, Jill. I know you love art and nature too along with writing. Your hummingbird photos (with whirring wings) often inspire me to action. Come to think of it, this bird could be a great metaphor for you, writer with a full time job. Obviously, the busy life agrees with you. It’s good to hear from you, Sarah, my favorite daughter-in-law. It must be nice to have a quieter household this week. Thanks again for the comment! Congratulations, Marian, and brava! Job well done. Your commitment to the writing life inspires all of us. I, too, blog, and often wonder … what will I write this week? And then, as if on a wing and a prayer, something captures my attention or I have someone offering (or agreeing at my suggestion) to write a blog post on Women’s Writing Circle. I have published 407 blog posts … not all, but the majority written by me and I will continue to blog because I feel, like you, it connects me to my readers and offers me a “voice”. 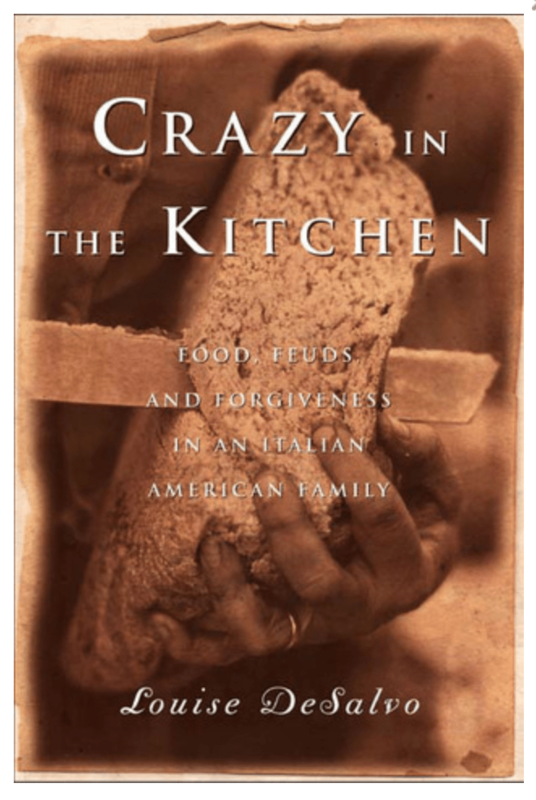 I don’t enjoy cooking, but my other passion is reading. I find that reading the work of other women writers – primarily memoir or creative nonfiction – gives me the distance from my own writing, although I am always thinking about writing …. always have and always will. Ah me .. . Thank you, Susan. Like you, reading feeds my writing. I can’t imagine not having 2-3 books on my nightstand. If I feel blocked, I may cook or clean though to get me into another zone so thoughts can marinate with the subconscious at work. Reading is a pass to be entertained and informed at the same time. I’m guessing you feel the same. Reading has never feels like work, although writing, especially revising and editing,often does. Thank you for the kind words. You are indeed fortunate to have the Women’s Writing Circle as both inspiration and opportunity for mentoring so many other writers. Brava to you too! Congratulations, Marian, on reaching your new milestone. I’m pleased I’ve been along for much of the ride and hope to be here for your 500th. I’ll echo Merril’s “Welcome Back.” I’ve missed you. Thanks, Janet. If I recall correctly, we met through Sonia Marsh’s blog post and anthology. Your noticing my experience in Ukraine with some parallels to yours in Kazakhstan helped us form a bond. I’m thinking now of Dr. Seuss’ Oh, the Places You’ll Go and your two invitations to Chincoteague. Lucky me! Blog post # 500 sounds daunting. However, we write just one post at a time. Right? Well written and very interesting. You caused me to stop and think about my own blogging. What is my theme? What am I trying to say? Who am I trying to reach? I’ve been in a drought that I’m trying to climb out of. I’m slowly getting there. Thanks for your help. Welcome, Anita! I remember your telling me recently you found some photos of great grand-parents. That’s a great place to start up again. I bounce back and forth between current events and memories of the past. But my main focus seems to be on family history. You can relate to that, I’m sure. Don’t pressure yourself, but I predict your blogging brook will bubble again very soon. I never thought about the comparison between cooking and writing, but I think you are right, Marian. I also love both these activities, just yesterday I was debating: should I bake that banana bread and spend time in the kitchen, or go downstairs and work on my memoir. It was a cool day, and the baking won over the writing. I did enjoy a “Kaffee and Kuchen” hour that afternoon as well. Today is another cool and rainy day, and I hope to get some writing done! Both the eating and the sitting require long walks, which I enjoy as well. Lots of ducks and geese and their half grown families to observe along the lake . Congrats on your blog writing! I write once a month (sometimes twice). You are an inspiration, Marian! Elfrieda, I love the German references that often pepper your comments. And your reference to eating, writing, and watching ducks on the lake resonate with me too. Thank you! Wow! 365 posts! Congratulations. Your posts are always full of interesting bits of information.So glad I found you!! It is not the quantity of posts but the quality!! I enjoy the research as well as the posting. I’m glad this strikes a chord with you, also a life-long learner. It’s good to find such a warm welcome here after my much needed break. Thank you, Darlene! WordPress was actually doing the counting, not I. That’s how I knew I was coming up on # 365, a year’s worth of ever-day posting. Thank you for taking the cooking metaphor a few steps farther. Obviously you mingle cooking and writing too, at their best both conjuring a sweet savor. Thank you, Susan. I’m glad you have another Susan as writing partner. I’ve always thought collaboration amplifies the results. Thank you! Your dedication to juicy, connected, grounded writing and your perseverance inspire me. Thank you, thank you, THANK YOU, Marian. You and Cliff are an amazing team. As one of your readers, I can say with full authority that you, my friend, have more than met your goal. Your posts are delicious! Juicy and delicious – the comments from you and Dolores are making me hungry. And at the moment, It’s 6:35 pm, dinner-time on the East coast. I am humbled and honored that you enjoy this blog. Congratulations to my best friend, blog writer and soon to be memoirist! You’ve worked hard and your readers/repliers are definitely part of your/our family. I’m glad I could add a bit of visual humor. Here’s my chance to publicly thank you for restoring woebegone ancestral photos and adding a special flair with your original art work. I’ll say “Onward!” to you too! By the way, I’m already a memoirist, although it does show very much! Welcome back, Marian, and congratulations. You’ve created enough blog posts for every day of the year. Amazing. Since I am writing from Pittsburgh after the birth of Lydia Ann Stotzfus last night, I’ll focus on the first reason to write: leaving a legacy for family. Your blog and your memoir will both be great legacies for your family. Congratulations are in order for you and your little girl who made you grandmama once again. I expect there will be another edition from the Granny Nanny diaries, perhaps somewhat abbreviated this time around. I value our connection as well, Marian. You are a warm and personal presence in the blog world. Congratulations on reaching 365! Thank you for the kind words, Lucinda! Today I meet with my web guy to get a blog tune-up. I noticed my PAGE “Mennonite Memoir: A Sampling” never transferred to the new website, so I’ll have to dig for the material and then update it. Soon your memoir will be featured on the list. I wait with bated breath for your own launch. Writing, I love. The necessary technical bothers, I could do without. I wonder if you feel the same. What serendipity – we connected and we will surely meet sometime, perhaps sooner than later. Blessings to Laurie for introducing us and to you for continuing our connection here. Huge hugs to you too! Congratulations on hitting this significant landmark! As one of your fans, I appreciate all the time and energy you’ve put into your work, and I wish you all the best in your future writing endeavors! Thanks to you and Sage who keeps your own blog lively. I appreciate our connection here too, Rebecca! Congratulations and Thank You, Marian. I’ve enjoyed many a nutritious and beautifully presented meal at your table. I had to look to see how many blogs I’ve written. 252 since May 2012. I like my new pace of every other week. My life has changed drastically with family here and I want to enjoy it all. Nature feeds your soul as does the arrival of Anthony and Jenna. (How sweet to see Sami and Willa curling in harmony on the doggie bed!) I see the younger generations including David and Liz enabling the lineage to thrive also, your dream coming to fruition, perhaps in ways you couldn’t imagine a year ago. Your blog posts are gems indeed and I look forward to responding to them now that I’ve had a breather with my blog break. Farmily first, I do agree. Thank you for being attentive here always, Elaine. Thank you, Fiona. I’m glad we have this connection and appreciate the glimpses of Swedish beauty I find on your blog, often with your precious pet providing contrast and fuel for your lovely poetry. Thanks again! Thanks, Jenn! It’s nice to have you along for the ride. I appreciate the candor and insight I find on your blog. Sorry – Let me check, Debby! There you are! You posted a while ago and I DID approve it, so don’t know why it didn’t show up. Gremlins at work?